(Newser) – The political operative accused of absentee ballot fraud in a North Carolina congressional race that's now getting a do-over has been indicted. 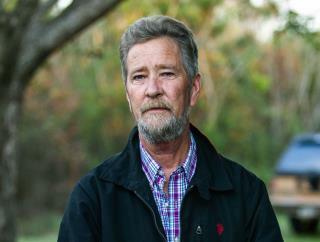 McCrae Dowless, who was arrested Wednesday, faces charges over the collection of absentee ballots in the 2016 and 2018 elections, the Charlotte Observer reports. Republican Mark Harris led the 9th District race last fall by 905 votes, but the state elections board never certified the election and last week ordered a new one. Dowless worked on the Harris campaign. He faces three felony charges of obstruction of justice, two charges of conspiracy to commit obstruction of justice, and two charges of possession of absentee ballots. His lawyer's office had no comment on the indictment. Trump: "When I created this BS committee to find 3 million fake votes, I should have specified; NOT BY THE GOP". Is it...I'm sorry is today...Is it CHRISTMAS?